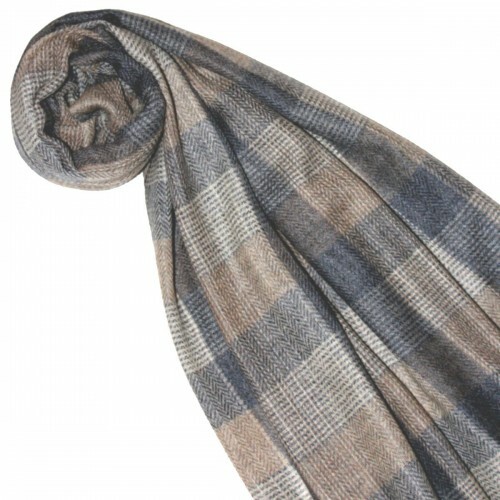 This luxurious and elegant high-end scarf is exclusively made by LORENZO CANA from 100% cashmere wool and is designed in subtle and harmoniously aligned colors. The ornate patterns are lavishly manufactured from natural und undyed cashmere fibers in different color nuances. 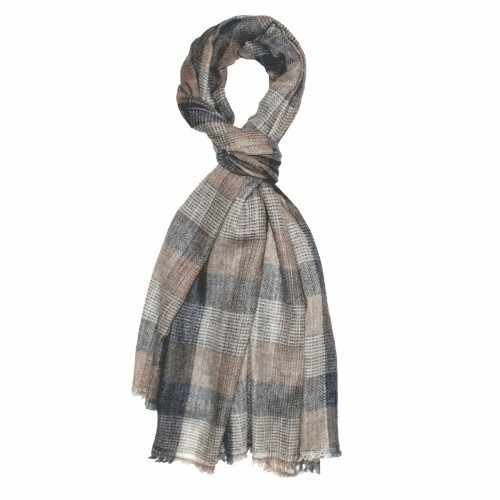 Worn as shawl, stole wrap, or as a scarf, this exclusive accessory will add a touch of classy elegance to every outfit. The precious cashmere wool originates from a small family business in Nepal and is not shorn, as is often the case with cheaper products, but rather combed out by hand from the soft underbelly of the cashmere goats. The beautifully cashmere wool thus obtained is spun into finest thread and finally manufactured in the traditional Jamawar-technique. 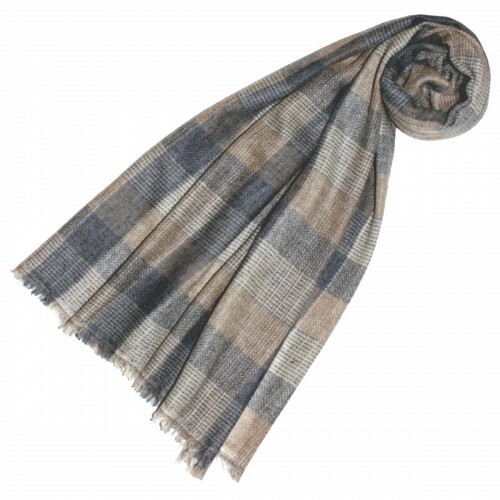 This scarf is extremely lightweight, provides excellent warmth and is very well tolerated by even the most sensitive skin types.